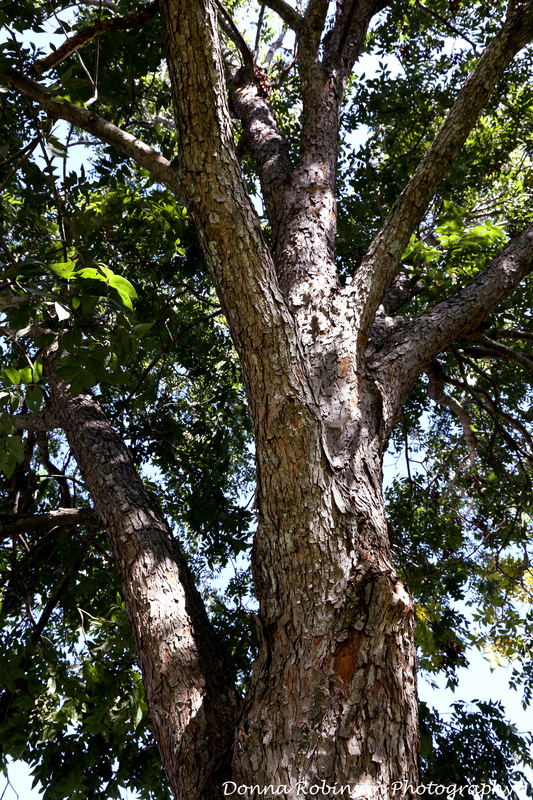 At “SSI Casa de Playa” we have the most beautiful pecan tree which stretches high above our house. 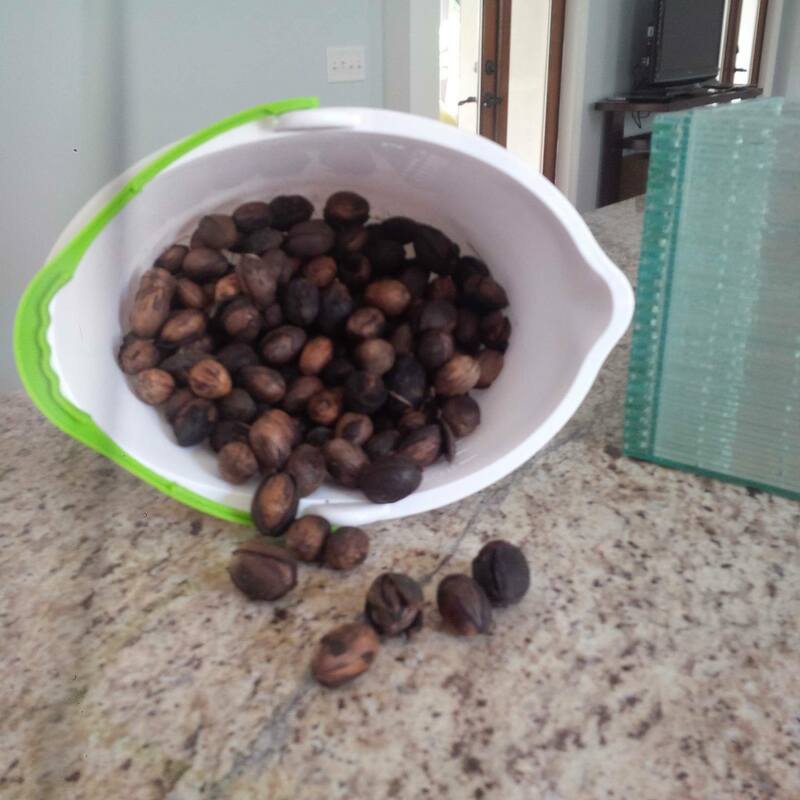 Our neighbors told us that when their house was being built all of the construction workers would come over to our yard and gather up the pecans….who wouldn’t want fresh and free pecans?!? 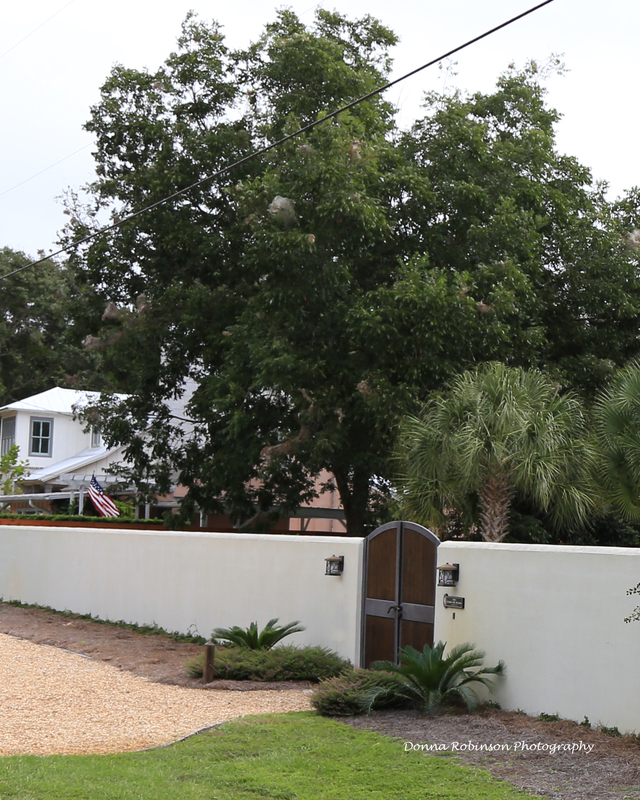 So, you can imagine their disappointment when the “great wall of SSI Casa de Playa” was built tightly surrounding the mighty pecan tree! All year, we’ve talked about how fun it would be to have fresh pecans………think about all of the things we can do with them! So, when September rolled around and we noticed the pecans building up at the base of the tree, we began to gather up what we thought was a bumper crop! Little did we know that most of what we collected were way past their ripeness. A few weeks passed and the tree began to drop more pecans, fresh and waiting to be gathered by squirrel or human hand. 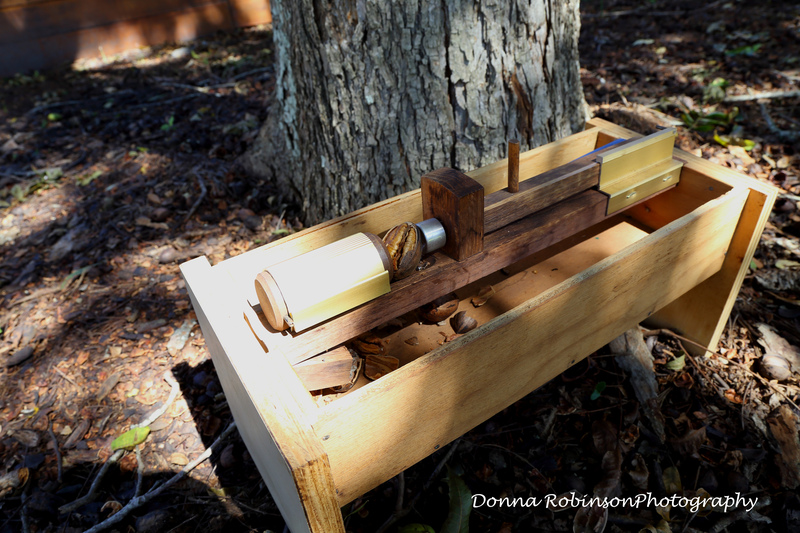 At first, I was excited about the potential of everything I could do with the pecans (roasting, salads, gift bags, etc. 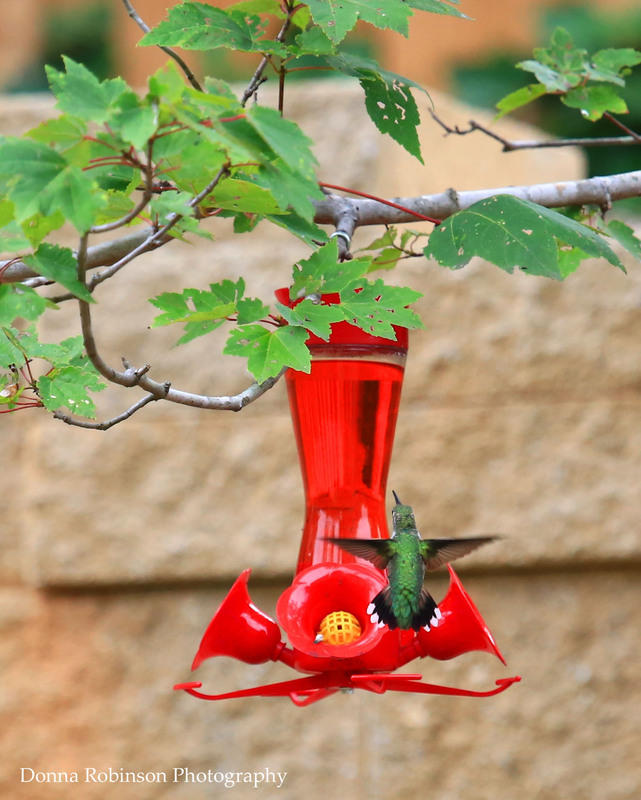 ), but my thoughts quickly turned to the work involved in cracking and picking each nut. It’s a slow and at times a painful process! Still, not wanting to waste our first “bumper crop” I purchased one of those small hand nut cracker and pick sets. Painstakingly, I began the chore of cracking and picking each nut by hand. At times, I was successful in cracking and picking a perfect pecan half! Then, I remembered when I was in high school, my father brought home a one of a kind, handmade nutcracker. 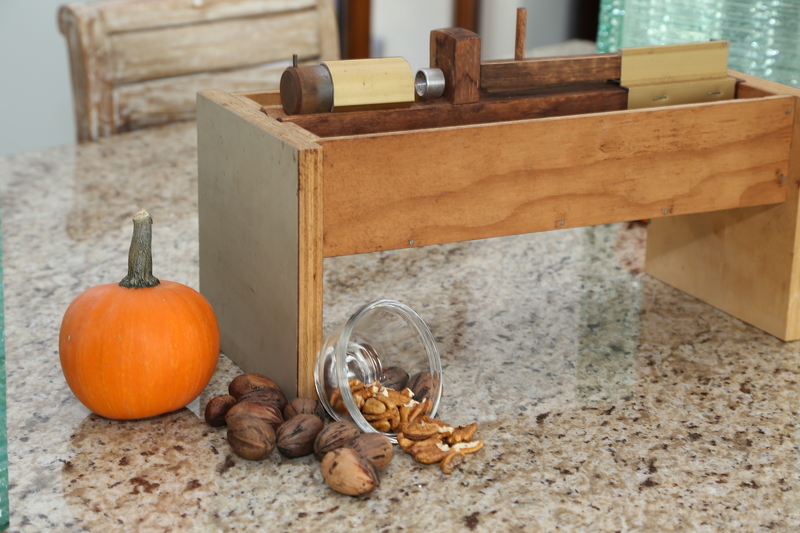 It was supposed to make the job of cracking the nuts for the holiday baking easier and faster. Knowing my father is not one to throw many things away, I asked him if still had it. He didn’t remember it at first, but when he thought about it more, he said that “in his mind” he could see it tucked away in the attic. As my dad guided me up the attic ladder and directed me to look in the corner where he could “see it in his mind” I looked around and there it was! A little dusty, but after 30+ years it was still there! On our next trip down to SSI, I brought “The Nutcracker” with me, ready to put it to work! One by one, I gathered up the freshly dropped pecans until I had a pile worthy of cracking. It took me a few times to remember the mechanics of how “The Nutcracker” worked. But, eventually the memories and the motions came back to me with each “pop,” “pop,” “pop,” “crack” of the sliding hammer! 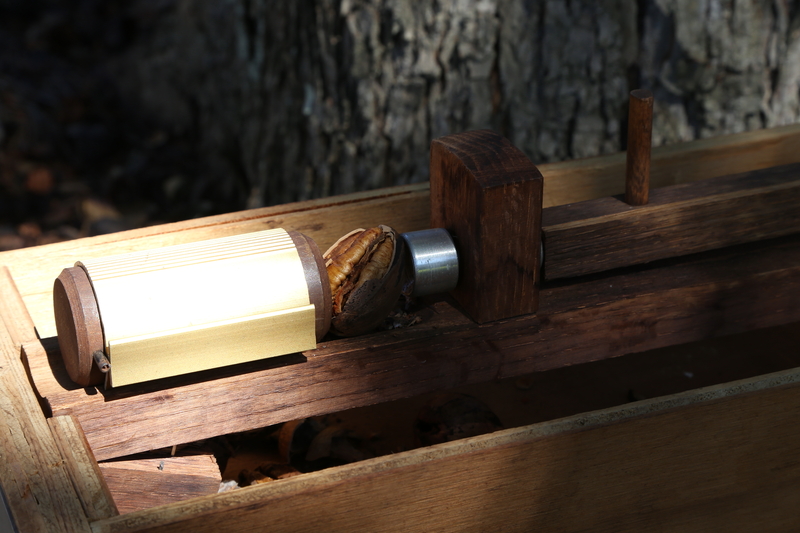 The fresher the nut, the more “pops” of the nutcracker it took, until finally the remaining shell pieces could be picked away, revealing the perfect meat of the pecan. Throughout the weekend, I kept chipping away at my stash, quickly learning which pecans were ready for cracking. And so, in the end while I may not have had enough for the pecan pie, salads or gift bags, I did end up with about a quart size worth of fresh pecans…..just enough to take home and share with Dad so he could relive the memory of “The Nutcracker” with me. Awesome story! Love you and Dad so much! Thank you, Rosalie! I’m so glad you enjoyed it! Love you so much, too! What an awesome story Donna! I have tears in my eyes! I remember cracking nuts with my mom when I was young – we had so much fun doing that together. Our nutcracker was not near as elaborate as your dad’s, but we cracked and picked and enjoyed those nuts during the holidays. Thank you for starting my day off with a great story and wonderful memories of my mom. Enjoy this special time of year on the island as well! Shelley — I’m so glad you enjoyed the story and that it brought back some fond holiday memories for you as well!